Boy do I love simple craft projects, especially ones that make a big impact. 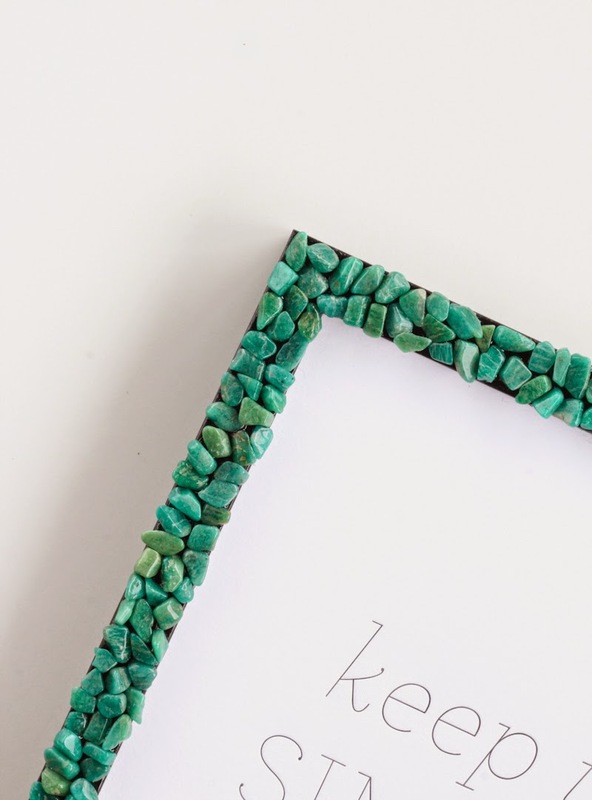 Adding gemstones to a basic frame not only transforms the way it looks, but it's also easy and inexpensive to do! In under an hour, you can have rich color and texture where there was none and make your art really pop. The best part? 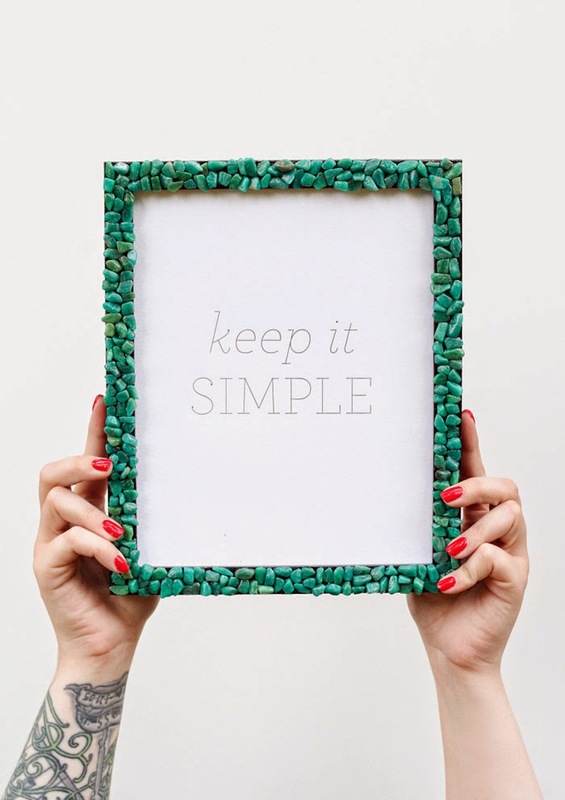 It's almost impossible to mess this project up :) (Note: "Keep It Simple" print from Hantverk Collective). 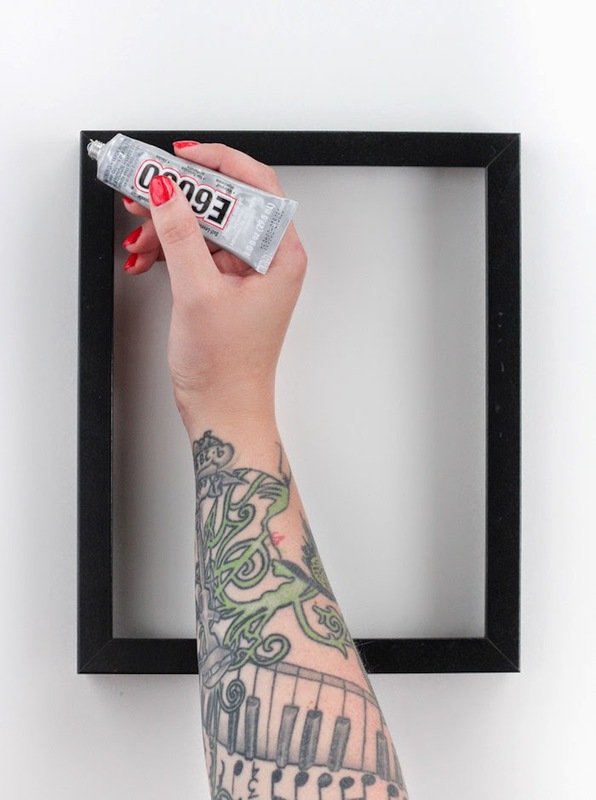 The color of your frame will peek through a bit, so feel free to spray paint it before starting. Step One: Remove glass and set aside. 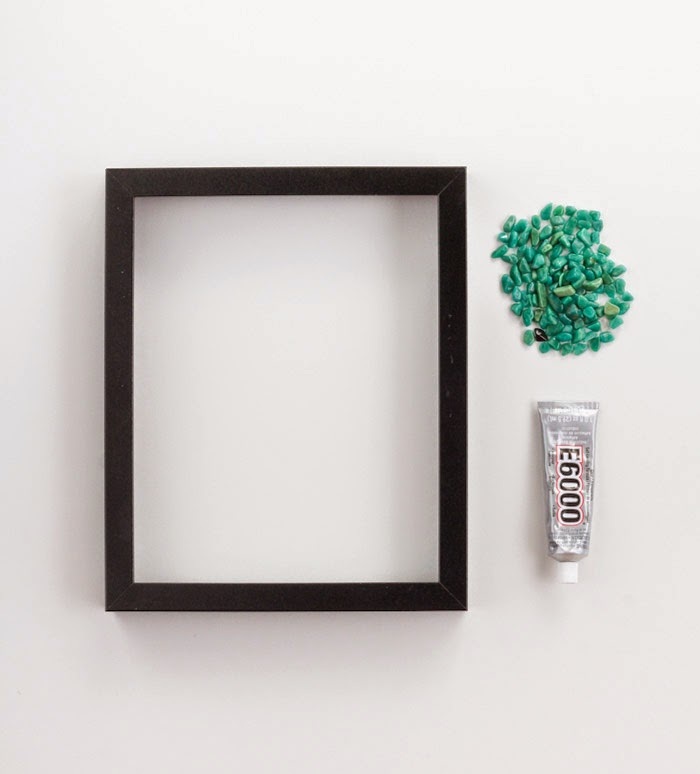 Working on a flat surface, apply a dab of e-6000 glue to your frame and spread it into a thin layer using the nozzle of the glue bottle. You'll want to work in small sections (about 2 inches at a time) so the glue doesn't dry before you're able to place your gemstones. Step Two: Add your gemstones! It's easiest to have them laid out beside your work space so that you don't waste time searching for the right size stone. 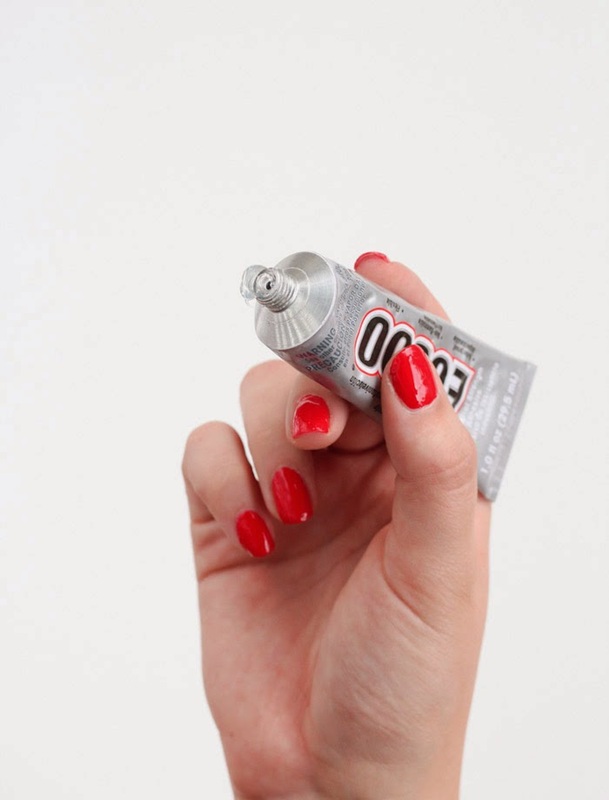 The glue doesn't dry instantly, so you'll have about 30-45 seconds to get the right placement. 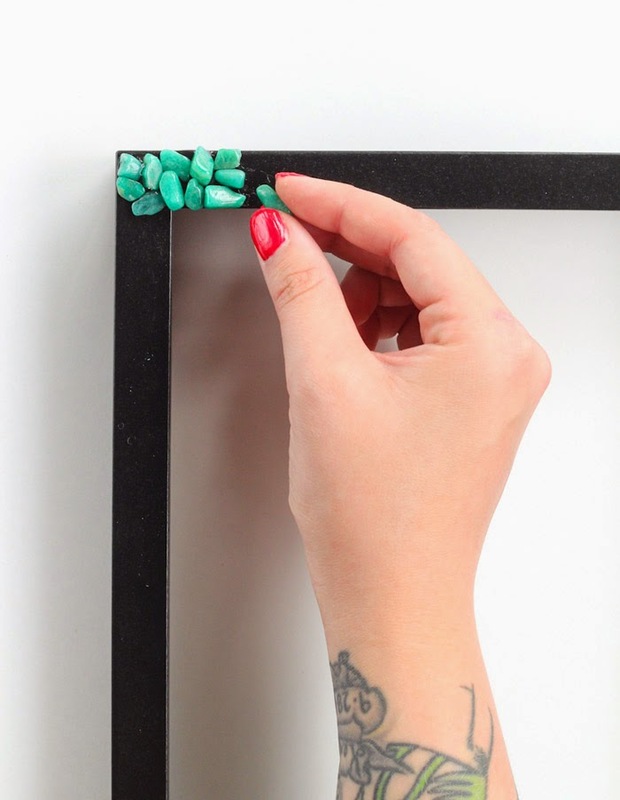 Step three: Once all your stones are placed, let frame sit flat until glue is dry. Add your glass and art then display! This is so beautiful. Love that color and texture! And, the top photo is pure styling genius. Great idea, I love a simple DIY too. I need to give this a go and the colour of the stones are so pretty. Thanks for sharing, p.s. I have just stumbled upon this blog and look forward to reading future posts, it's lovely here! STUNNING color. Rachel is always the best at taking a simple idea making a world of a difference! This is great! I know what glue to use to make this with sea glass pieces I collected in Cuba now! Love it. What a great idea, thanks for sharing. My husband is South African and every time he goes back home he returns with bags of gemstones for me, and they mostly sit in jars. I will have a to select some and make my frame. What a fun facelift! 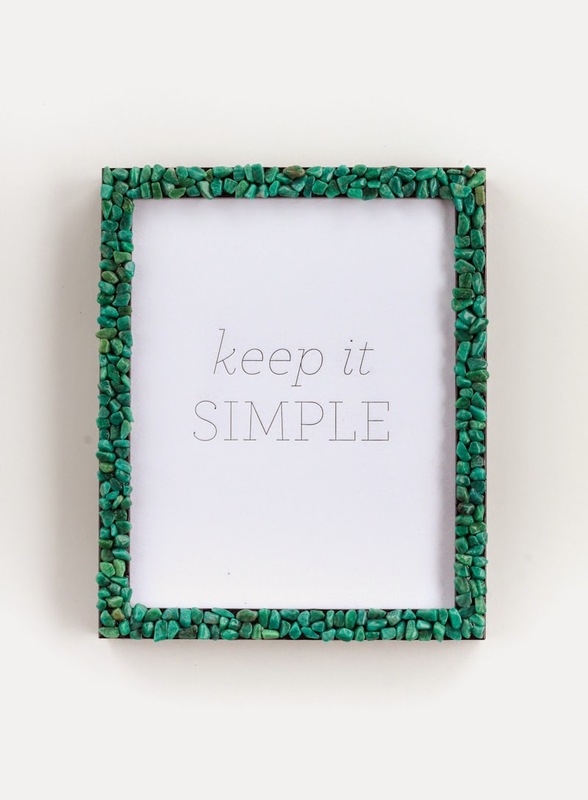 We have tons of boring frames that need some love... I'm going to have to track down some stones now!